In busy cities like New York City, there might be instances when someone parks their vehicle in your driveway which becomes a hurdle to take your own vehicle out. It is for sure that you will be late due to blocked driveway. Well, now you don’t have to worry as Blocked Driveway Towing is ready to solve and eliminate this issue for you. We do not want you to be stressed about the situation. To discuss how Blocked Driveway Towing helps, we have compiled a list of 6 Questions Blocked Driveway Towing Answers. Q. 1. What is the Best Solution to Eliminate the Blockade in Your Driveway? Blocked Driveway Towing is the most viable solution to eliminate blockade in your driveway. 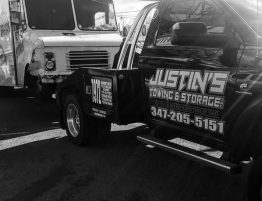 Providing services in New York, Queens and Brooklyn, over the years, Blocked Driveway Towing has become the go-to service for New Yorkers to clear their driveways of unwanted vehicles. Q.2. What is the Benefit of this Service? The benefit of this service quite simply is that it will save your valuable time and avoid all the hassle you might have to face. Any vehicle illegally parked in your driveway will cause you the inconvenience of taking your own vehicle out. It becomes a greater problem when one has to go out for any urgent work or to attend an emergency meeting. Blocked Driveway Towing has a team of skilled individuals, who take care of freeing your driveway from unwanted vehicles. Q. 3. How Much Time It Would Take to Clear the Blockade? As professionals, Blocked Driveway Towing has a fleet of towing vehicles which reach the location quickly right after the call is made. Upon reaching the location, the team tows away the vehicle out of your driveway, clearing it for you. Q. 4. Will the Caller Information be Kept Anonymous? Since it is the policy of Blocked Driveway Towing that information of callers will always be kept anonymous, therefore, callers never have to worry about their information being provided to anyone and don’t want the whole process to be a hassle for you at all. 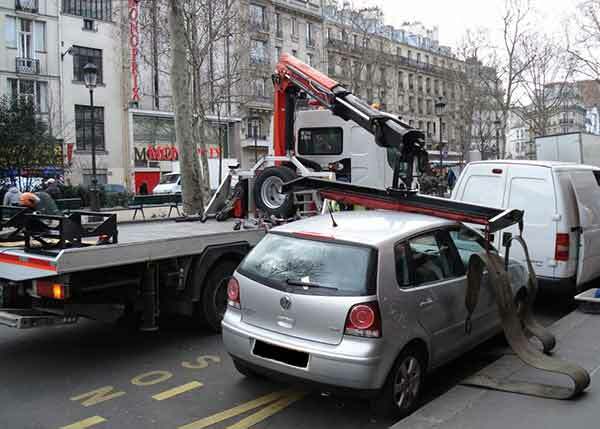 We deal with the offender and rest assured that you don’t need to worry about the situation once you have made the call to Blocked Driveway Towing. Q. 5. What are the Charges? Blocked Driveway Towing’s service is COMPLETELY FREE for the person who calls, i.e. the owner of the driveway. Charges will be received from the person who illegally occupies someone else’s driveway. Q. 6. Do I need to call 911? We’ve heard a lot of concerns from our valuable customers that they do not like the response by dialing 911.Simple answer to this question is “NO”. You do not need to call 911. Because 911 is for emergency situations. NYC has a special helpline to resolve Non-Emergency situation which is 311. Here’s the link to submit an online complaint about blocked driveway towing.